Is there any physical activity that doesn’t benefit from the many advantages a strong and well developed core delivers? I’m beginning to think not. I just discovered the latest group that’s turned to Pilates to improve their personal performance – equestrians! From casual Western to strictly English, barrel racing to rodeo, these athletes are training with Pilates to improve their performance and prevent injuries. Pilates began as a series of exercises designed to help rehabilitate injured soldiers in World War I, then evolved to condition professional dancers in preventing leg and other injuries. Since then, race car drivers, professional athletes, runners, swimmers, bike riders and many other competitors have learned the benefits of a Pilates fitness routine. Annette Willson’s blog Pilates for Horse Riders teaches equestrians a special style of Pilates that includes very task specific conditioning that targets saddle riding. She has perfectly identified the parts of the body that benefit most from having a Pilates makeover, and explains the logic behind her training in a way everyone can relate to and can understand. 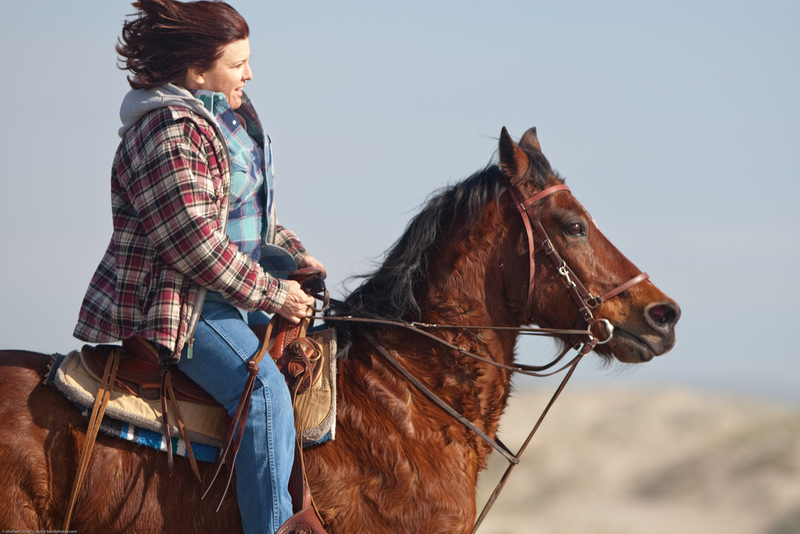 Even if you’ve never even petted a horse, her site offers several excellent reasons on how everyone benefits from Pilates. And if you do happen to ride, your horse will thank you! This entry was posted in Uncategorized and tagged core strength on April 5, 2013 by Susan. Pilates and running are the perfect match. A solid core supplements and improves a number of areas critical for peak performance. The other day I came across a guest blog over on Brooks (shoes) Running that shows several exercises runners can perform after a run to improve their results. The writer says that, “A strong core helps create a runner’s longevity on the road and can help alleviate back pain.” Fair enough – but wait, there’s more! Most runners don’t realize how important maintaining the correct posture is to peak performance and endurance. Joseph Pilates’ original concept of Contrology – the method of developing controlled movement from a strong core – is even more applicable today, as we pursue a variety of physical activities on a regular basis. And that’s especially true when it comes to running. His Pilates System stresses the connection between the mind and the body for maximum efficiency and benefit. 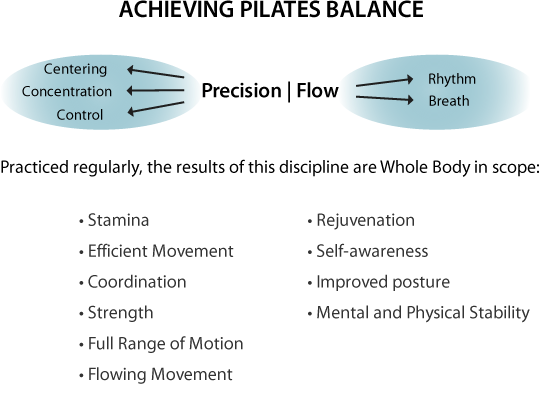 Along the way, Pilates practitioners learn to focus on (among other functions) breath control while they build that strong, long and lean core by performing the interconnected movements Joe first described nearly a century ago. Runners – and cubicle workers, and frequent flyers – all benefit from a well developed core, first and most noticeably from an improved posture which in turn leads to more efficient breath control, better coordination, extra stamina, and overall strength. If you’re a runner, Pilates should be part of your workout. It starts with The 100. But it doesn’t stop there. This entry was posted in Uncategorized and tagged core strength, posture, running on April 3, 2013 by Susan. 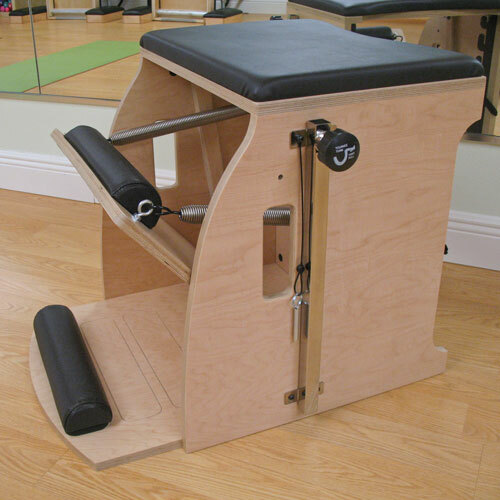 Of all the strange looking (to Pilates newbies) apparatus you’ll find in a professionally equipped studio, the Pilates Chair really gets a lot of attention. Designed and developed by Joseph Pilates for double duty as a dedicated piece of exercise equipment that can also be converted to seating in a tiny living space, the Chair is one of my most versatile training aids. As a chair, though, I’ve got to say it’s got a long ways to go before I’ll be using it to sit in. When combined with a Reformer footboard routine, you’ll get a cardio workout unlike anything you’ve experienced before, challenging both those abs and the big muscle groups in the legs. Did I mention upper body strength? As you can tell, the Pilates Chair is as versatile as it is strange looking. This entry was posted in Uncategorized and tagged cardio, core strength, Pilates chair on August 13, 2012 by Susan. Get Ready. Get Set. Now Scoop Those Abs! How Do I Scoop My Abdominals In And Up? You may have attended a class and heard the Pilates phrase “scoop your abdominals.” The “scoop” starts with the engagement of the pelvic floor, and the pull in and up begins just above the pubic bone and progresses upward to the navel and upper abdominals. The pelvic floor is the foundation, or basement, of the core. It supports the lower abdominal cavity, bladder and uterus as well as the deep muscles of the abdomen and back, just like a backyard hammock cradles a napper on a summer afternoon. These pelvic floor muscles, tendons and ligaments help to stabilize the pelvis and form a supportive sling at the base of the pelvic bowl. They also assist in developing the Pilates goal of core strength. Weak pelvic floor muscles often lead to attempts by other parts of the body to compensate for core weakness, resulting in a domino effect of structural imbalances throughout the body which could result in abdominal or back pain. It is important for both men and women to do exercises to strengthen the pelvic floor muscles. But how? 1) Pilates uses the pelvic floor muscles to assist with muscular support during exercise. One of the verbal cues is to engage the muscles to “draw in and up”. How do you do that? Try squeezing the “sit bones” together and up and imagine the flow of energy hugging the center line of the body, traveling up the spine, and exiting the top of the head. The sequence is not as easily defined as you might think. In fact, you may not feel it the first few times, but with continued practice and body awareness you will begin to perfect your scoop. Remember, Pilates is a practice. The more you do it the the more you begin to identify and activate the muscle or muscle group that needs to be engaged to perform the task. Note: the pelvic scoop should not occur with such an emphatic “pull in” as to result in a loss of the natural curve of the spine or create a forward flexion of the upper spine. When you are able to isolate the appropriate muscles, you should still be able to expand the ribcage and back for the deep breathing required to flow through your workout. 2) Kegel exercises also help to recover muscle tone. While Kegels are most commonly associated with women they can be beneficial for both men and women alike. Don’t overdo this. Just use the technique to find the muscles you need to engage. Too much Kegeling can weaken rather than strengthen the pelvic floor. Integrate your newly found scoop for a more effective workout. Happy scooping!!! This entry was posted in Classes and tagged abdominals, abs, breath control, core strength, scoop on May 23, 2011 by Susan.